We’re excited to introduce our new Flag Collection featuring six different countries and their flags. You can now buy your Survival Straps® gear emblazoned with the Australian, British, Canadian, German, Irish or Italian flag. We are not only extremely proud to be United States of America citizens but also deeply appreciative of our own individual and unique backgrounds. This melting pot of cultures is what makes America so great. Celebrate your heritage with a Britain Survival Bracelet™, Ireland key fob or Italian gear tag to mark your luggage while traveling, or ring in jolly Oktoberfest in style with our German Flag collection. Celebrate what makes you and your family uniquely, well, you! Buy your Survival Straps Flag Collection, here. At Survival Straps, we respect and acknowledge the enormous sacrifices made by our military men and women. Many of these service members return home from war with both physical and mental injuries including traumatic brain injury, post-traumatic stress disorder, or combat stress. 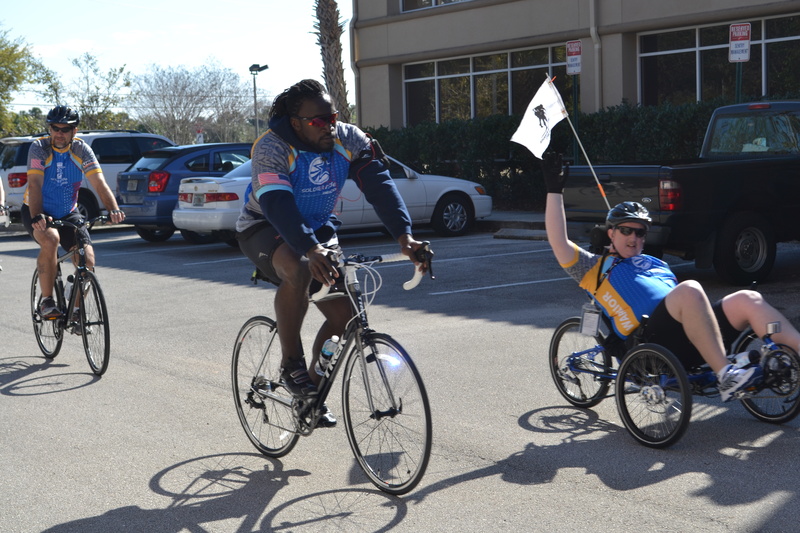 We’re proud to support an organization that is committed to honoring and empowering this generation of wounded service members and help them successfully adjust back to life at home. 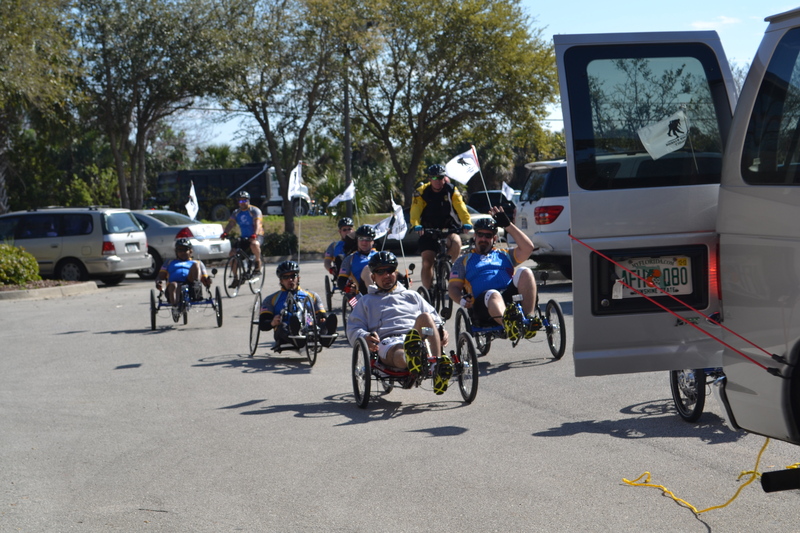 Wounded Warrior Project® (WWP) began 10 years ago when several veterans and friends, moved by the stories of the first wounded service members returning home from Afghanistan and Iraq, took action to help others in need. 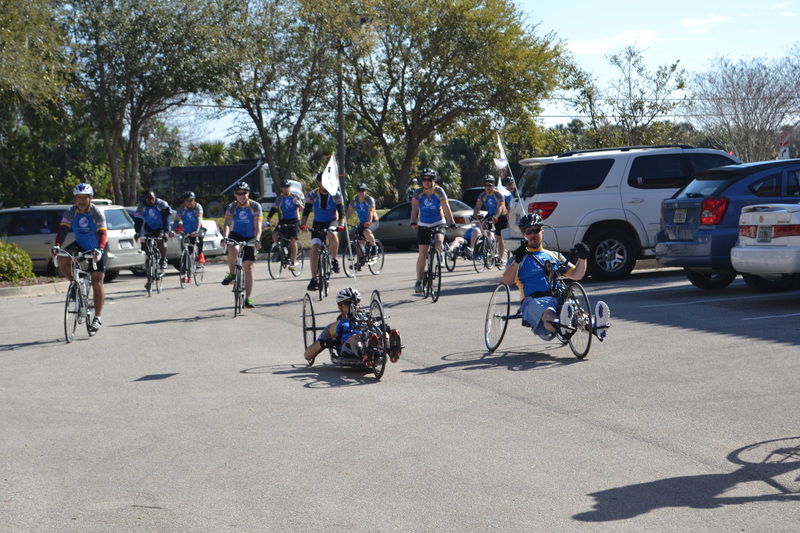 Today, WWP serves tens of thousands of wounded servicemen and women and families with programs and services providing engagement opportunities, physical and mental health support, and economic empowerment. In recognition of the 10-year anniversary of WWP, Survival Straps® is honored to further the mission with custom WWP Survival Straps products and a commemorative 10-year bracelet and key fob. 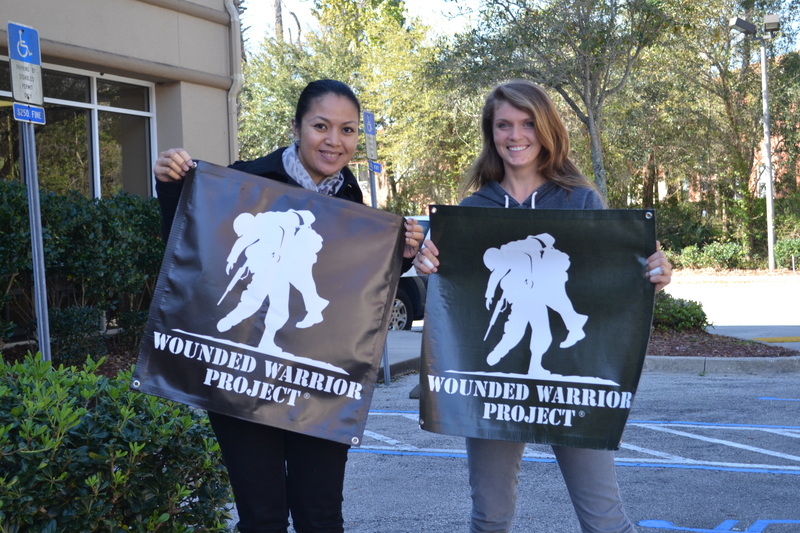 To get involved and learn more about WWP and their decade of service and lifetime commitment to injured service members and their families, please visit WWP10.org. Purchase your Wounded Warrior Project Survival Straps gear, here. 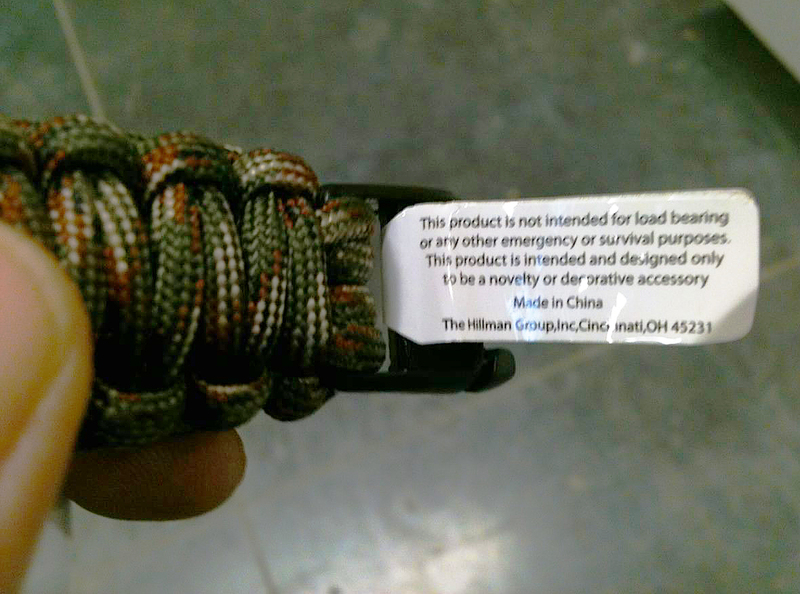 Recently, a Survival Straps® customer shared this photo he took at a hardware store of a bracelet that closely resembles our Survival Bracelets™. As you can see, he was irritated at the disclaimer the company is forced to include on their products. The post brings to light three main ways in which Survival Straps differs: 1) the quality and integrity of materials used 2) our unique company guarantee and 3) our resolve to remain an American-based manufacturing company. We thought this would be the perfect opportunity to explain what Survival Straps is all about and expand upon what makes us the leading paracord accessory company in the world. First, we strive to produce the highest quality paracord products in today’s market. Survival Straps is the home of the original Survival Bracelet, using authentic, military grade, type III 550# parachute cord. The cord is woven together from an elastic nylon rope, and “type III” denotes that the rope has a breaking point of up to 550 pounds and can withstand an incredible amount of weight and pressure. You can see why the rope evolved exponentially from its first application as parachute rigging and why it is so highly regarded by military, outdoor enthusiasts and civilians today. This particular bracelet in the photograph and many other imitation bracelets are made with commercial grade cord most commonly manufactured and sold overseas that has little to no load-bearing capabilities. They might be woven together to resemble a survival bracelet but will not go far in actually assisting in any true survival situation. As per the disclaimer, they are little more than an item meant to be worn as a fashion accessory. With over 50,000 color combinations, countless customization features and a plethora of officially licensed collections, Survival Straps is proud to boast both fashion and practicality. Survival Straps also differs in another critical point of view: not only do we encourage you to unravel your gear and use it, but we’ll actually replace it for you! All we ask is for you to share with us your story, pictures, and $5 for shipping. We’ll take care of the rest and get you set up with brand new gear ready for your next adventure. That’s our guarantee. Lastly, unlike these novelty accessories, Survival Straps gear is handmade in the USA. Our headquarters and manufacturing facilities are located in Ponte Vedra Beach, Florida. Survival Straps is family-owned business operated by local residents passionate about upholding the commitment to our brand and country. We unequivocally support our nation and the men and women who fight for our freedom by giving back to various charitable organizations who provide invaluable services to our military and veterans. 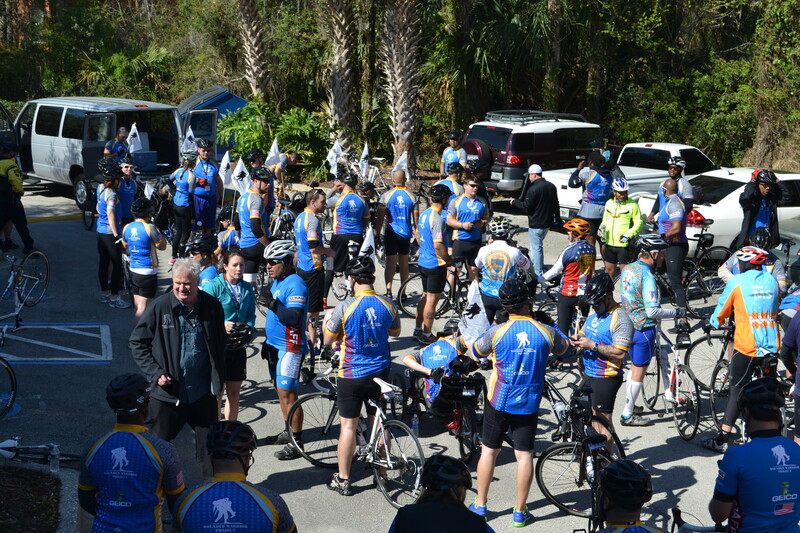 To date, Survival Straps has donated $856,000 to these worthy causes. We hope to top this number even further in the future. We hope that his post has cleared up some of your questions and further solidified your trust in our company. 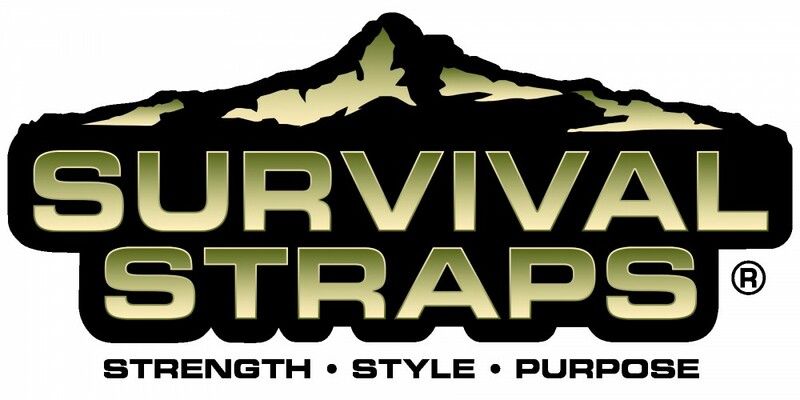 Visit our website at http://www.survivalstraps.com, and don’t forget to like us on Facebook and follow us on Twitter for the latest Survival Straps updates and news. As always, thank you for your support! It was a beautiful day, and we were ready! 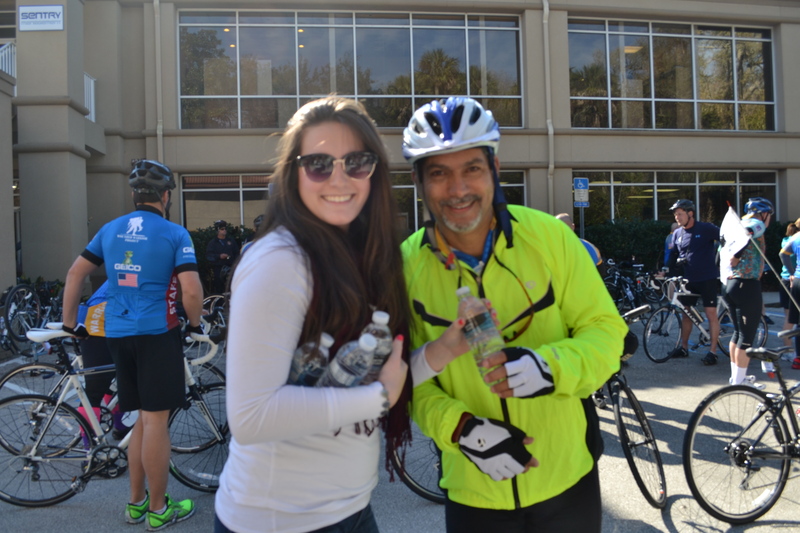 We made sure to keep everyone hydrated! It was quite a group! Here at Survival Straps, we’re passionate about supporting the men and women who serve, past and present, our country and have sacrificed so much. We truly appreciate everything they have done and continue to do for our freedom. To check out more ways we support our troops and country, check out our “Support Our Troops” collection here.